In this Through These Gates outtake, former Nebraska fullback, Tom Rathman, shares his favorite memories as a Cornhusker. HuskerMax™ and Through These Gates creator, Ryan Tweedy, are showing never-before-seen short documentaries from over 58 hours of footage that never left the cutting room floor. 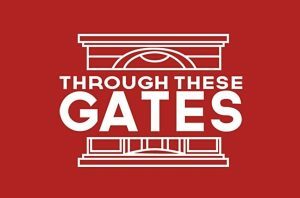 Through These Gates explored the question, “What does it mean to be a Husker fan?” These lost tapes will continue to answer that and will also reveal so much more with previously unreleased interview footage. Want more Ryan Tweedy? Find him HERE on his Nebraska Cornhusker podcast – The Big Red Cobcast every Monday on iTunes.